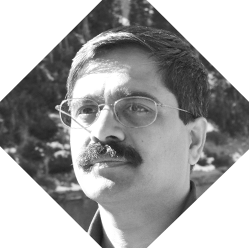 Venkat Subramaniam is an award-winning author known for his contagious enthusiasm and passion for software development. He believes in mastering technologies that improve robustness and productivity. He is an instructional professor at the University of Houston. Creating code is easy but creating good code takes a lot of time, effort, discipline, and commitment. The code we create are truly the manifestations of our designs. Creating a lightweight design can help make the code more extensible and reusable. In this presentation we will take an example-oriented approach to look at some core design principles that can help us create better design and more maintainable code. Functional programming is receiving much attention recently. Most mainstream languages, including C++, Java, and C# now support lambda expressions and functional style. Why is there a sudden interest in adapting something that was largely ignored for decades? What are the technical reasons, how do we benefit, in what ways can using these techniques make our applications better and our development efforts easier as well? In this technical presentation we will learn about the technical underpinnings of functional programming, the fundamental problems they address, and the large impact of those on application development.